Those words are from the Nobel Committee that awarded Ms. Morrison her Nobel Prize in Literature on this day in 1993. 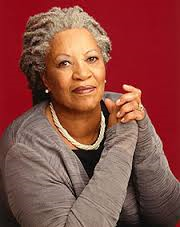 Her acceptance speech spoke of ‘spreading like algae because this prize is being distributed to various regions and nations and races.’ Morrison shared this win with women, the mid west, the east coast and African Americans. She is one of the reasons I am in love with pen to pad. Why I love words to dreams. 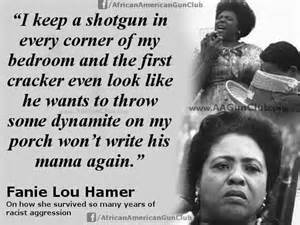 Why I am courageous enough to speak my vernacular. People do speak highly of my art. And I have been used in some really nice analogies during introductions to stages. 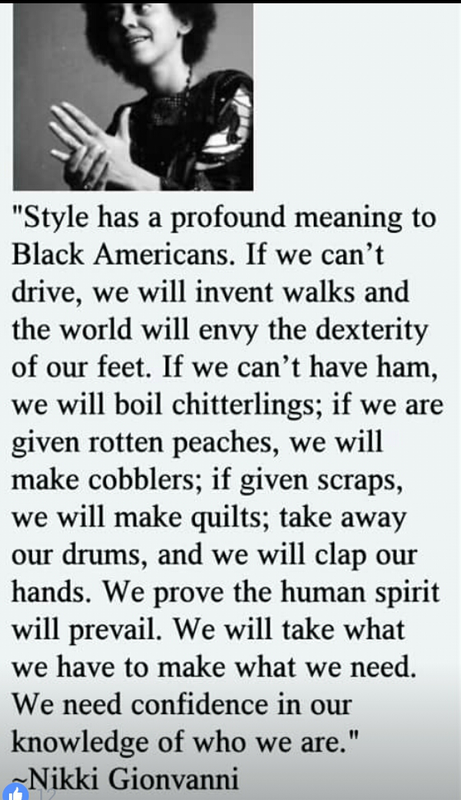 And for that, I am thankful for Toni Morrison. I am a planner. I organize everything to a fault and sometimes plan the fun out of things 😦 When I move with intention and purpose, I allow myself to live in the moment. Not planning for the next hour, but appreciating where I am at that moment. It’s beautiful when I’m mindful of it. I hope to encourage someone today. 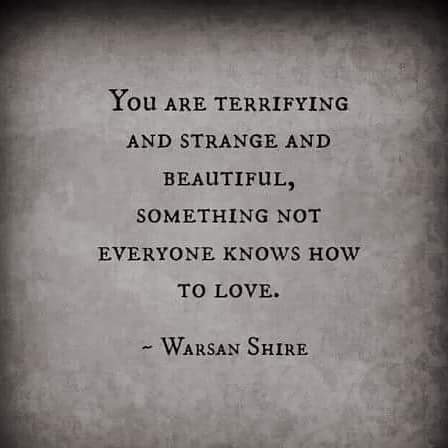 Many people will read this and immediately begin to think from a religious perspective and ignore the transformation that can be experienced from this mantra. The politics of religion is about mind and crowd control, not freedom or spiritual growth. And perhaps this is where the frustration begins. Instead of viewing the glass as half empty people will view it as constantly starting over. Those hard times are where you are burning to rise. Where you should allow yourself to come undone. 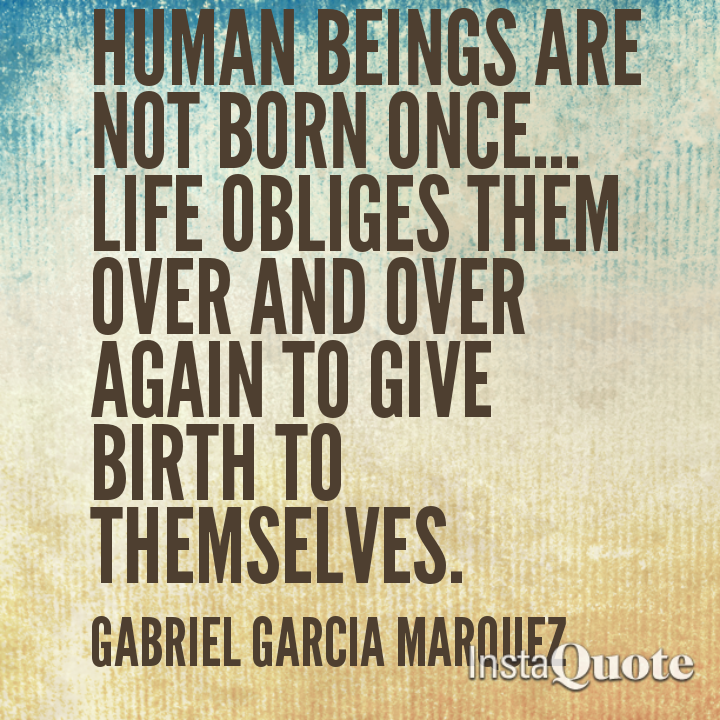 Only to give birth to yourself again. Think differently… think spiritually. She stood by the bedside of Jordan. A lotus. Feet grown from delta mud. She was creation. Exploded from chaos. A holistic believer. Ruleville, Mississippi. Crooked state. Chosen land. Eternal cost. Chosen woman. Creased face. Her memory wavers like an untuned church organ. If you see her. Tell her you remember. Her protected skin that matched night. Unafraid. Sleep patterned to that of bats. Called upon. Like Nut and Shu. To uphold the heavens. Keep young mouths breathing. When tempted to swallow swollen faith. She followed the dust and escaped through the vents. One of the roles of the artist is to re-create life’s perception within a societal context. Some say the conditions of the moment define the creation of art through political, cultural and religious/philosophical terms. With that, there will always be an audience for our voices, so why do we torture ourselves with endless edits and insecurities of not being artistically accepted? So many of us sit surrounded by genius pieces of art inspired by our immediate communities. Award winning poems and best selling novels. We have garage spaces and storage units full of paintings and sculptures that depict an opulence of emotions. And the fear of our vulnerability being labeled as weak disables us from sharing. And the masses of our culture in the states does not support our profession so we get a “regular job”. And turn our passion into a past time or extra way to make money. Everyday of the week. In every situation in life. The individual in the position to persuade or that perceived the story will always have an audience that understands and supports them. 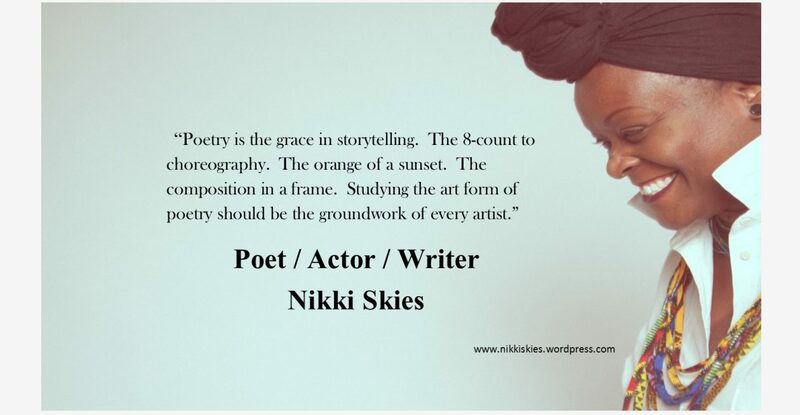 As artists, we have to identify when in our lives we began to believe no one would appreciate our art and stop this. Because no matter what the discourse is from the expression, it will be perceived by someone that understands and folds our endless nights. 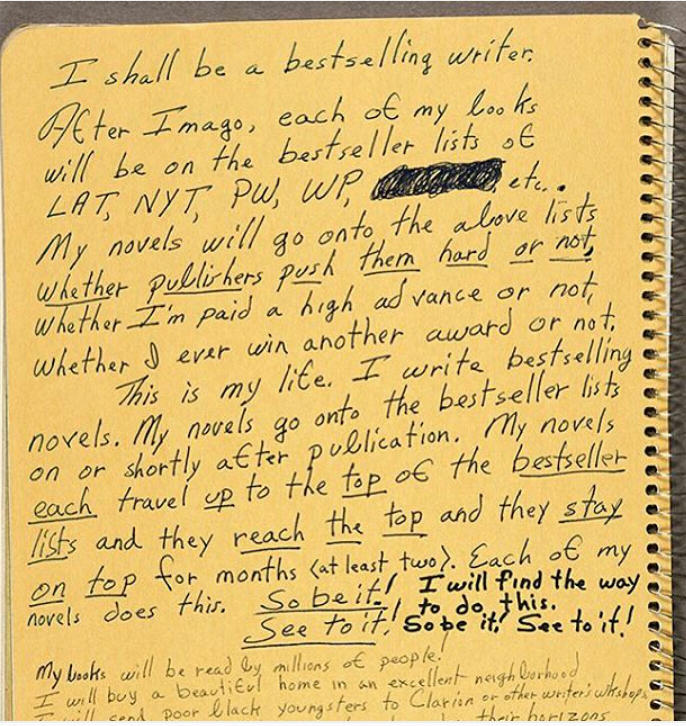 When I saw the “note to self” (visualization/dream board) of Octavia Butler I became inspired! 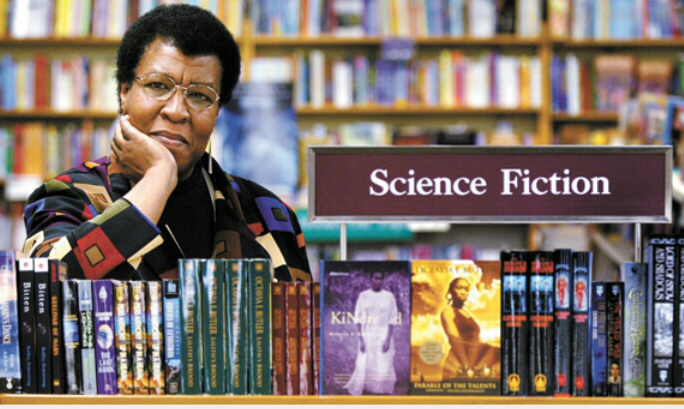 Butler was the first science fiction writer to receive the coveted MacArthur Fellowship and one of the best-known females in her field. She passed away suddenly in 2006 but for those familiar with her work know that this board came to fruition! Have you created your visualization/dream board for the new year yet?